I received my pot from the sponsor about 6 weeks ago, and went straight to work checking it out as soon as it came here. Nope, I did not start cooking. I had to read the materials they sent along with the sauce pan. That’s because this 1-quart sauce pan from 360 Cookware is not your ordinary cookware. It’s high-tech premium cookware endowed with construction and a degree of quality that ordinary pots don’t have. When I unwrapped the item, I was immediately surprised at how heavy it was, especially the lid. This is a deliberate feature of 360 Cookware, according to the DVD and instructional brochure that came with it. Both the pan and lid of 360 Cookware is constructed of several layers of high quality steel. Heat, along with the heavy-duty lid, creates a special cooking seal that traps moisture. Once the cooking seal is active, the user can cook with less water, less heat and no oil. Also, cooking food within this special seal is supposed to have more nutrients, and less water means the food is more flavorful. Here’s how the 360 Cookware sauce pan looks on my stove. Pretty nice, isn’t it? None of my friends or family have a snazzy pot like this great prize. 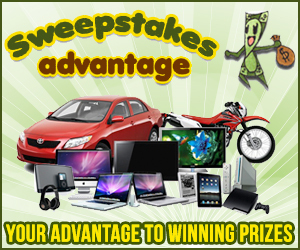 Winning high quality stuff you’d normally not get to try is one of the many benefits of pursuing a sweepstakes and contests hobby. One of the best features of this type of cookware is that it allows the owner to bake on the stove. I have never liked baking, and avoid it if possible. I also keep a lot of pots in the oven, as lots of people do when they’re short on space. Taking all those pots out of the oven is a lot of trouble. Baking in summer makes the house feel hotter, and baking splatters up the oven. All these downsides made for one lazy baker in this house. When I saw that you can bake everything on the stove top using 360 Cookware, this got me interested in a test. I made a meatloaf to try out this method, and will outline the steps I used with pictures. Using oils and grease is unnecessary (according to the documentation), but as a new user I added a bit anyway. Here’s what the inside of the sauce pan looks with a touch of oil. Mix all of that up in a bowl, leaving half of the taco sauce aside to top the meatloaf. This is the shaped, raw meatloaf with taco sauce on top, ready to cook. Yes, I know it looks like the scene of a horrible accident. No, zombies are not invited for dinner. Now, back to our show. Next, the cooking seal has to be created to bake this meatloaf without water. First place it on the stove at high heat, and spin the lid. If the lid can move easily, while releasing a bit of steam, you have created the cooking seal. Lower the heat, and just don’t lift the lid. I’m a bit compulsive this way, always lifting the lids on pots. You must trust the 360 to fully bake the food without interference. Just leave it cooking and slowly back away. This is the actual baking process happening, with the 360 Cookware working like a real oven. It used far less electricity than heating up a whole oven, and as stated earlier — baking on the stove top is so convenient. Once my food had that “done” smell, which took about 35 minutes, I released the lid and checked out the cooked meatloaf. Voila! In case you noticed, I did take the picture in the sink. Like Broadway, that’s where the lights are bright in my kitchen. I was able to take a good picture right under the fluorescent lights. I declare the 360 Cookware pretty good at stove top baking. Once I work up the nerve and a bit more technique, I will bake a cheesecake on the stove top. The 360 Cookware line comes in several shapes and sizes. It would be great if someday I could try out the 3-quart sauce pan for larger meals and a wider cooking space. So there you go, a fully baked meatloaf, all cooked, sliced up and ready to serve. Disclosure: I did not receive a pot for demonstration purposes, I was not paid a fee to post this and all the yakking in this post is my own opinion. I like the idea of being able to cook with oil and still have moist food that doesn’t stick to the pan. I’m very interested in baking on the stove since I haven’t used my oven in over a year, I’ve just been using the toaster oven. That’s worked fine until I have more than one thing I’d like to bake, it would be nice to be able to use the stovetop. That meatloaf looks yummy. Congrads on your winning. I would love to have this special cookware. It sounds fantastic. I bet it would cost a pretty penny if you didn’t win. I love how you can use less water so that you have more flavor and it’s hold in the nutrients. Great win! Sign up for free winning tips.